Taking the shape of an oval orb surrounded by large-link chain, this stunning centrepiece catches the eye and the light as the numerous Bauhinia crystals contained within the structure shimmer and sparkle. We love the way this Eastern-inspired design incorporates Italianate charm – perfect for understated design schemes in need of pizzazz. A singular crystal orb dangles beneath. 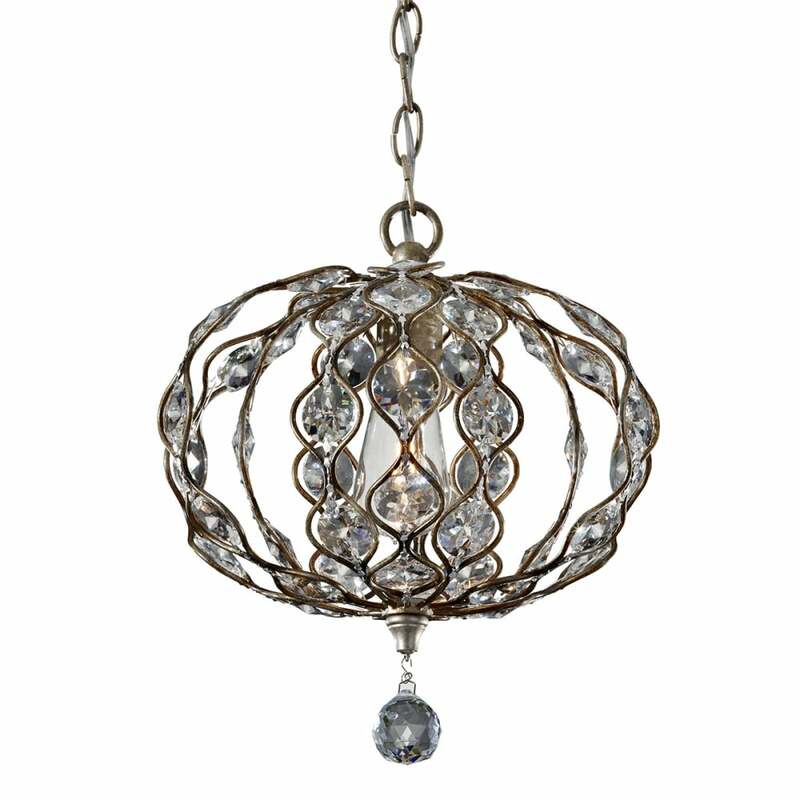 The mini chandelier can be chain hung or semi-flush ceiling mounted. View All Feiss for more information on Leila or view the complete Leila Collection. - Supplied with 2137mm of chain.